Arachnophobia is the fear of spiders. It is one of the most common phobias one can suffer from in the Western world. Therefore, it should not be a surprise that a significant amount of people have a moderate to severe form of arachnophobia. In fact, according to studies conducted in the United States, approximately 25% of men and 50% of women report that they have some degree of arachnophobia. If you’re one of these people, don’t worry, you’re not alone (you might also be interested in our article about how to overcome your fear of spiders). A phobia is an unreasonable fear of something. This is true also because generally spiders are actually not that dangerous to humans. Unfortunately, for an individual suffering from arachnophobia, telling them this fact won’t immediately cure them of their phobia, but it’s better than telling them the opposite. Due to immense fear, an arachnophobe will unlikely be able to listen to logic or reason on this matter, and even the harmless Daddy Long Legs may be enough to induce a fight or flight response. For an arachnophobe, a spider is perceived as a serious danger even if it is incapable of doing harm. Individuals who suffer from arachnophobia might also translate into fear of other types of arachnids, like scorpions, or have an extreme fear of insects in general. Sadly, this can seriously affect a person’s behavior negatively. If one fears spiders to an extreme degree, they may not be capable of going anywhere where they live (hint: spiders can be found practically anywhere, so this is serious). Basically, you can strike off visits to the woods or camping trips off the list of things to do with an arachnophobe. Another issue for those suffering from arachnophobe is that spiders frequently live in houses as well. To be met with your greatest fear unexpectedly dangling from the bathroom wall or window can be a traumatizing encounter. Severe arachnophobes may be frozen with fear and be stuck as to what to do. Even if you don’t suffer from arachnophobia, most of us have a mild, but healthy fear of spiders because some can be legitimately dangerous (like the brown recluse or black widow). We may still experience a sense of heightened alertness caused by encountering a spider, especially if we need to remove it from our home. In most instances, understanding that most spiders are not a threat can reduce our fear. 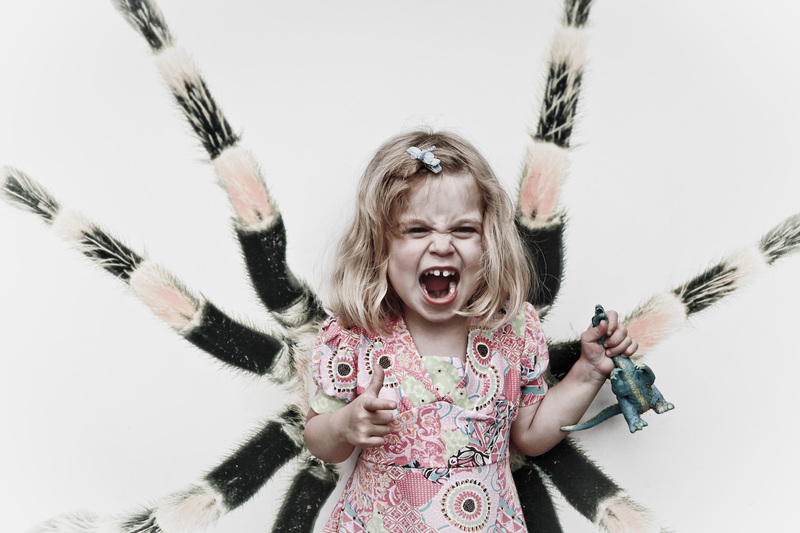 Even though arachnophobia requires treatment, those who suffer from it still have hope for recovery. In order to successfully treat arachnophobia (or any phobia, really), one must be desensitize themselves of their fears through exposure. We cover the steps more in-depth in another article, but the general steps are as follows: start off with a low stakes encounter, such as by viewing images of spiders on the computer. Escalate by using a fake but realistic looking spider and keeping it around you. Eventually, one should subject themselves to real spiders for the greatest effect. This process may take a long time, and will definitely require courage. It may not even fully cure the arachnophobia. However, even slight improvements can be highly beneficial, especially for those who can literally be paralyzed with fear by the sight of a spider.